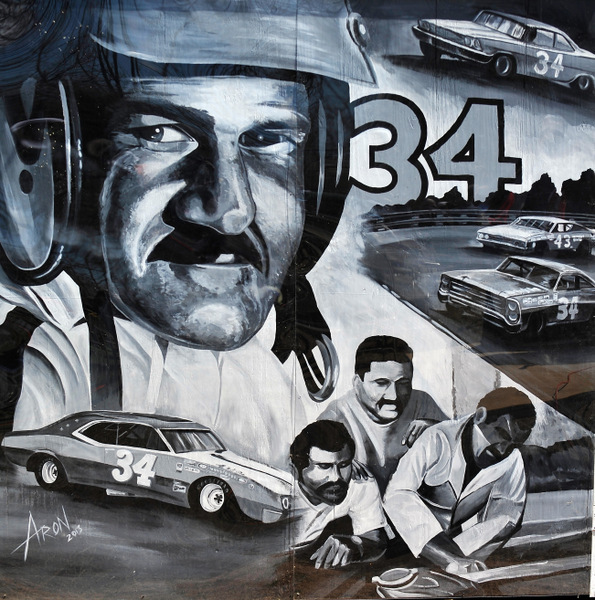 When will Wendell Scott be inducted into the new NASCAR Hall of Fame in Charlotte? Will Wendell Scott ever be inducted into this Hall of Fame? Does Wendell Scott even belong in this NASCAR Hall of Fame? Those are some sharply focused questions raised here over the weekend, following Darrell Wallace Jr.'s victory in Saturday afternoon's Truck 250 at Clay Campbell's Martinsville Speedway. It's been 50 years since Scott made his own bit of NASCAR history, 1963. It's been 40 years since Scott ran his last NASCAR race, 1973. It's been 23 years since Scott died, at age 69, 1990. 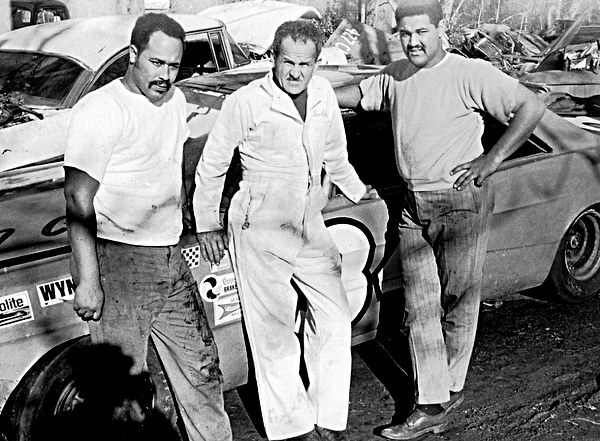 The Wendell Scott Story is well known: How he, as an African-American from Danville, Va., struggled to earn a living on the stock car racing circuit in the 1950s, 1960s and early 1970s, in what was then a white-man's sport. And how he finally won a major NASCAR race at Jacksonville, Fla., in December 1963. No, Scott didn't get to kiss the Jacksonville beauty queen, and he didn't get that trophy that night either. A 'scoring error' was the official reason for the mix-up that Buck Baker was first named the winner. And that trophy itself, not just sure what happened to it. The racial prejudices of the times certainly didn't make things easy on Scott. It appears NASCAR officials even refused to let Scott race at times. Rival drivers would pound on Scott's car unmercifully, and fans would boo him. Richard Pryor made a movie about Scott, in 1977, Greased Lightning. And Scott's legacy has been invoked and well-worn by this sport's leaders in the push to diversify the face of NASCAR racing. All that is well known to stock car fans. Soooo, when will Wendell Scott be inducted into the new NASCAR Hall of Fame in Charlotte? Even here now, 23 years after Scott's death, that seems an oddly difficult question for this sport to deal with. But that may not be that simple a question after all. And in raising the Wendell Scott issue itself, that also raises more issues about this particular stock car racing museum, which just opened in 2010: Are the people running this operation really focusing on all the right things, or just putting big names on the wall for talking/marketing points? Are we all perhaps missing something with this museum? The focus so far seems to be to 'induct' those big names and wrap some history around them. And to make sure at least one of those 'names' each year is still alive and kicking, to talk about it all. However at the rate NASCAR is adding names to the wall, it could take Wendell Scott years to get his name up there. Darrell Wallace Jr.'s victory here was an historic win, long awaited, particularly by NASCAR CEO Brian France, who has pushed hard for 'diversity' as one of his NASCAR's biggest priorities for nearly 10 years now. NASCAR marketers are billing Wallace's win it as the first national touring victory on a stock car oval by an African-American since Scott's win in1963. And they've been hotly promoting Wallace, who has already made it to ABC's Good Morning America. Scott's own son Wendell Scott Jr., who has been working for NASCAR as a 'talent scout' and coach, was here, front and center, to celebrate Wallace's win. He was one of the first to scout Wallace, back in 2008, when Wallace was only 15. And Scott Jr. is a staunch supporter of Wallace Jr. Considering this sport's long, hard push to attract a more diversified audience and a more diversified field of drivers, Wallace's victory is a really big one. A great shot in the arm for this sport. It should be mentioned clearly that Darrell Wallace Jr. made it to this point with considerable help from Toyota and Cup owner Joe Gibbs. And patience by all. Even with everything going for him, it still took Wallace a long time to make it to this point. 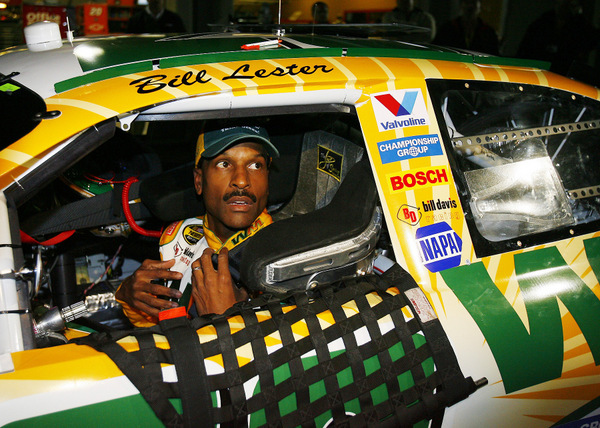 For accuracy, Bill Lester -- also one of the few African-Americans even to try his hand at this NASCAR thing -- was actually the first since Scott to win a NASCAR-sanctioned national touring event, when he won a Rolex Series race at Virginia International Raceway (ironically in Danville) in the spring of 2011. Lester, a Cal-Berkeley grad, 1984, engineering, drove some Sprint Cup races for Bill Davis in 2006, in Dodges, though it's not clear just how much support really came from Dodge itself. Lester, one of the nice guys in this sport, and highly personable, was quick to send his own congrats to Wallace. 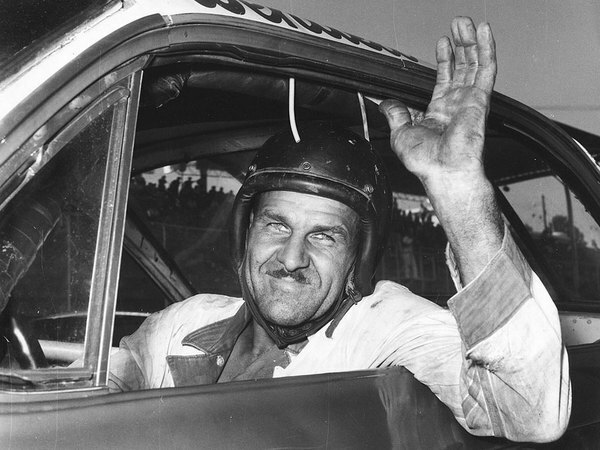 Will Wendell Scott ever be inducted into the new NASCAR Hall of Fame? Not this year, though at least he has been nominated. Does Wendell Scott even belong in the new NASCAR Hall of Fame? Now, to me, the answer to question number three is easy -- an unequivocal yes. ...about his life... his road racing with loads of liquor on rainy nights on slick streets... his NASCAR debut and those first races, right here at Martinsville Speedway, in fact, thanks to legendary promoter Clay Earles... his many struggles to make a career and a modest living racing NASCAR stockers. I have looked into his eyes, and seen the years....the joys, the pains, the fun, and the darned hard work of it all running a one-man NASCAR team back in the day. Howard Walker, one of North Carolina's great newspaper photographers, and I drove up to Wendell Scott's place, across the river and up on the hill in Danville, way back when. ...and photos of his stock car graveyard, including the remains of that Big Chance Special, which unfortunately didn't get very far into the Talladega 500 that spring, the spring of 1973. One of the 'big ones' caught Scott pretty badly. Injured his back. He never really raced again, just once more, that fall at Charlotte, 38th and $1800. Scott talked to me for hours that summer afternoon while Walker kept shooting. Scott, in that quiet, patient style of his. Non-confrontational. Low-keyed. So calm at times it was hard to see this man as a wild-eyed kid in his 20s roaring through sloppy wet streets hauling the white stuff and dodging the law. So if I had a vote in this NASCAR Hall of Fame thing -- which I don't -- I would vote in Wendell Scott quickly. Wendell Scott made a statement, a big statement, over his NASCAR career. Through sheer perseverance, in the face of adversity. And that's what really counts. 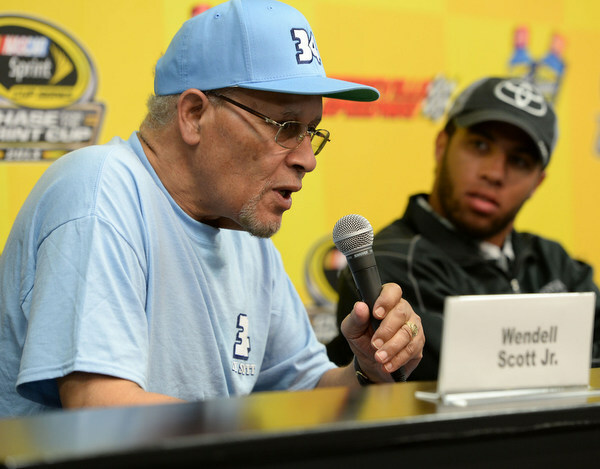 What Wendell Scott did over his racing career still makes a big difference today. And, in an aside here, I would also vote in about 75 or so others who should already also be in this new NASCAR Hall of Fame. The legitimacy of this particular racing museum is very suspect to begin with, for a number of reasons. 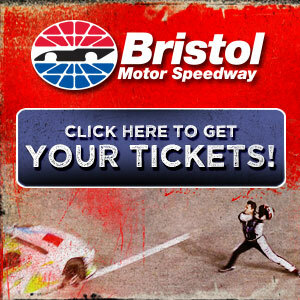 This sport's journalists established a stock car racing Hall of Fame back in 1965, through their National Motorsports Press Association, and have inducted more than 80 NASCAR legends over the years. That is much the same way in which the National Football League runs its Hall of Fame, with journalists voting. (Unlike NASCAR, any NFL fan can nominate a player, coach or contributor.) Here is the NFL's list of Hall of Fame voters. But when NASCAR, in its move to develop an office high-rise operation in downtown Charlotte a few years ago, decided to market that proposal with a 'new' Hall of Fame, as part of a tourism pitch, NASCAR execs pointedly rejected any link to the NMPA Hall of Fame and its many legends. NASCAR votes in five men a year; that's 25 men so far....in a sport that has been in business since 1948. And NASCAR executives, unlike the NFL, closely control the entire process. But this new NASCAR hall of fame certainly has plenty of cars and gismos and sparkle and massive promotions -- ol' Maurice 'Chief' Petty, the legendary engine builder, has been on a whirlwind tour marketing for NASCAR. And if you are looking for a neat venue for your company's next expo or convention, this museum is readily available. The motorsports media corps voted Wendell Scott into the NMPA Hall of Fame in 2000, ten years after his death....26 years after his last race. Maybe that was too long to wait. But at least the motorsports media did vote him into their hall of fame, more than a decade ago. Do the men running this new NASCAR Hall of Fame have some hidden agenda? Do the men running this operation need to rethink a few things? Like the format: Is this five-men a year induction process really adequate for this sport? In a sport this huge, are there really only 25 men worthy? What is the point of this museum anyway? To highlight just a few big names...or to showcase the sport's history? Now the question 'Does Wendell Scott even belong in the new NASCAR Hall of Fame?' may seem odd to some. That, after pointing out he only won one race in his NASCAR career. And that is a legitimate question. How to define just what Wendell Scott really did for this sport? Of course Bill France Jr. didn't win that many NASCAR races in his career either. The criteria for becoming a Hall of Famer are, well, just what are the criteria? Making a major contribution to the sport, perhaps, in whatever way? Wendell Scott is sometimes tagged as NASCAR's Jackie Robinson. But did Scott really pave the way for more African-Americans to make it in this sport, as Robinson did in baseball? However Scott's very legacy makes the NASCAR case to push for diversity even more sharply in focus, now 50 years after that night in Jacksonville. 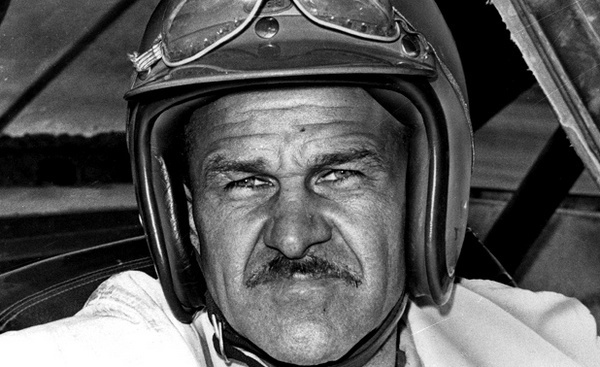 Some might argue that to put Wendell Scott in this NASCAR Hall of Fame, with only one win and a record of relative mediocrity, might be wrong. That argument would be misguided. The list of African-Americans in NASCAR over the years has been pretty thin. Men like Willy T. Ribbs and Randy Bethea and Bill Lester have tried their hands at it. But this is not only an expensive sport but also a tough sport. And a performance-driven sport -- even if you make to the big leagues, you've got to be able to perform to stick. NASCAR and its promoters, from Charlotte legends Richard Howard and Humpy Wheeler to Martinsville's Clay Earles, have tried mightily for years to attract more African-American fans, bringing to the tracks as many widely varied African-American entertainment and sports stars as they could, to make the point clear. Diversity is, if not center-stage, at least a hot button issue. But darned if this sport isn't expensive. Not until NASCAR's Brian France, in 2004, established, promoted and funded a major-league 'diversity' program -- with racing scholarships, and arm-twisting big-time team owns to step to the plate too and put promising young drivers in their cars -- did this sport really start making moves. And even at that it has taken this long for one African-American diversity driver to make it to victory lane. Which makes it all the more memorable. And which makes the Wendell Scott questions all the more pointed. Submitted by WScott34 on Mon 10/28/2013 - 21:39. I can only say thanks Mike for writing this story. There's so much going on in my mind right now that I would rather talk about it more than to write it down. The reality is ANYTHING NASCAR does for the sake of "diversity" centers around one man. WENDELL SCOTT. Period. There has many countless books on him and his story. Feature films. Documentaries. Probably more than the sport's "Last American Hero", Junior Johnson. Not taking anything away from Junior, but Wendell promoted NASCAR in a quiet, reserved and dignified manner that earned the RESPECT of his competitors, fans and media. Maybe NASCAR doesn't want to go down that road of the past of how they treated him and his race team during the Segregated South era, but he never gave up his quest to become a winning race car driver and did so winning one race. He never touted any "diversity" to race a car. He just did it, despite the odds. I feel confident that the next HOF class of '15 will include him. Submitted by mrclause on Tue 10/29/2013 - 06:05. The sad thing is that today there just aren't that many that can comprehend what it was to be Wendell Scott and endure all that he had to, just to do what he loved. If you aren't 60 or better and haven't lived in the old south where even drinking fountains were separate, where even doctors offices had two doors, one saying white, the other saying colored, you can't possibly understand the life of Wendell Scott. HOF? You betcha! Submitted by Joe on Tue 10/29/2013 - 08:57. Nice piece about a guy that really did a lot with very little, not to mention the \"tension\" he must have faced throughout the ENTIRE time he raced. This guy showed up every week and posted top 10\'s in the points for quite a while there in the 60\'s. Wendell Scott deserves a lot of credit and for the record that one win was HUGE - so huge he never really got the fanfare he deserved for it; let\'s not forget that. I don\'t even think he got the real trophy for winning the event. Submitted by squatting dog on Tue 10/29/2013 - 13:39. Yeah but at least we have Big Bill's wife the ticket taker in the hall. Tell me when Smokey Yunick makes it... maybe then I'll take a run up to Charlotte to check out the hall of fame. Submitted by Tony Geinzer on Tue 10/29/2013 - 14:20. I feel Wendell Scott deserves to be in the NASCAR Hall and unlike other sports, I feel Motorsports needs to have space to learn in the future. Submitted by Clem Zahrobsky on Tue 10/29/2013 - 15:44. I saw Wendell race several times and one time at Charlotte on a pit stop he got out of the car and checked over his used tires to see which ones he wanted to put back on the car. When my son moved to Va. for work we visited Wendell's place and saw some of his old cars. Submitted by Cotton on Tue 10/29/2013 - 16:06. I don't always agree with you, Mike, but on the issues of Wendell Scott and the Hall of Fame you are on the money. 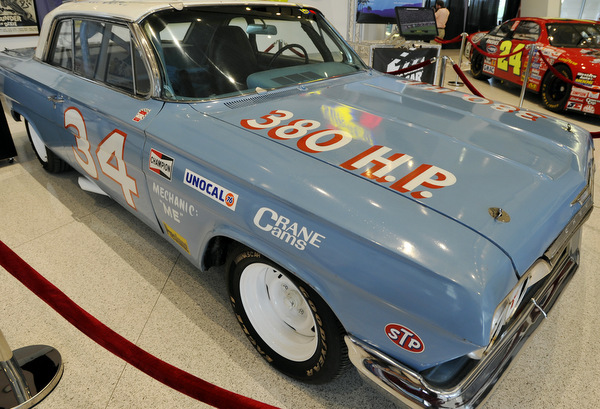 What might Wendell Scott's numbers have been if he hadn't had to battle the prejudice that he did? And that prejudice wasn't just on the track but off the track as well in that we all know that, in that time and place, it was difficult for a black man to earn a decent living no matter what his abilities were. Without the ability to even earn a decent living, how hard was it for Scott to put together the equipment necessary to be competitive? He deserves to be in the Hall of Fame just for his perseverance if nothing else. I can think of only two others who matched Scott in perseverance, that being J.D. McDuffie and Junie Donlavey and they probably deserve to be in the Hall as well. As far as the Hall of Fame, itself, I'll never enter it until Smokey Yunick, who should have been in the inaugural class, is in. Simce I'm 75 years old, I doubt I'll live long enough to see that. Submitted by Wayne Garner on Tue 10/29/2013 - 16:50. I always enjoy your writing and this column is exceptional. Your points on Wendell being in the Charlotte Hall of Fame are most thought provoking. I'm still undecided on that. I agree totally with your assessment of the HOF system itself. I was turned off on that when I saw Anne France as a nominee a while back. I'm sure she is a great lady, but not HOF material. I agree that it is a contrived system that lacks integrity. Thanks for making me think about racing! Submitted by bffyyyy on Wed 10/30/2013 - 04:24. Among the many riders and professional racers worldwide, Wendell Scott is one of my favorite and inspiration. I am an ardent fan of him and it is an honor to read the details updates and information about him on the page here. Submitted by Thom Shermer on Thu 10/31/2013 - 09:16. The precedent has been set. We already have members of the NASCAR Hall of Fame voted in because of their contributions to NASCAR and the first black driver with guts enough to take on the establishment belongs. I attended races at Bowman Gray in the 50s and early 60s and saw Wendell Scott compete a few times. 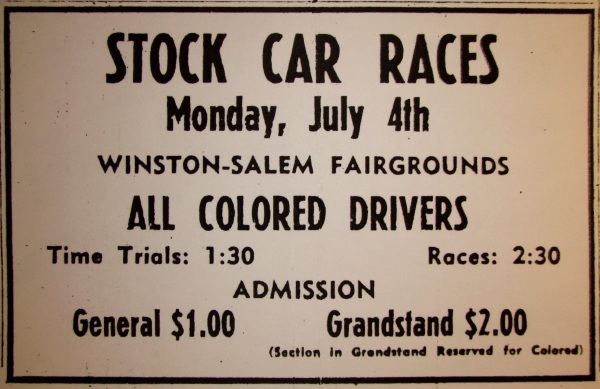 My memory is that the portion of the grandstand reserved for black patrons was always filled when he raced. There may have been some disparaging remarks or boos but I don't recall that. The initiated would be quickly informed that the driver of the 34 car with Danville VA painted on it was a black man so the underlying prejudice was evident. I also saw Wendell Scott race at Charlotte. I always felt sorry for the guy, especially at what we now call Cup events, because he actually had to get out of the car and assist the few that were his pit crew at times and they made good use of what looked like your standard Radio Flyer red wagon to move their stuff around. Wendell Scott contributed to his race and the sport of NASCAR auto racing in a major way. He belongs in the hall. Submitted by Paul Watson on Thu 10/31/2013 - 14:34.
racing is a tough tough sport As anyone from karting to cup will tell you it's a money thing. what Mr Scott did with little to nothing is amazing.Myself I think he should have went in before rusty Wallace and my favorite dale jarrett. both are too young and there should have been many entered before they were inducted.Personally drivers like Scott along with drivers buddy Arrington Dave Marcus jd and others should get a shot. back then you had to perform just to eat. Jr and Danica would have starved to death!!! 'Mr Scott was a pioneer but on the flip side the drive for diversity is a joke.Talent and not color should be the only reason anyone should be considered.Let's face it Danica looks good but is she better then Erin Crocker or shawna Robinson or patty moise. proudly not. everyone with a lick of smarts knows baring a 42 car wreck she'll never win. in all honesty she shouldn't have made it past the truck series. I think mr Scott would have a hard time with today's NASCAR and that's sad!!!!! Submitted by Gee Gray on Wed 11/06/2013 - 11:48. He was a mediocre racer at best.There were other black drivers before him just as good or better, ( refer to Greg Fieldins 40 yrs of Stock Car Racing 1949 t0 1958).If he should be in the hall simply because of his color,that badly degrades the acomplishments of Far Far better drivers who deserve to be in long before him.Nothing against him,he just wasnt deserving to even be in the Hall.